PWM Lamp/LED dimmer module, 12V or 24V, 10A (120W at 12V, 240W at 24V). 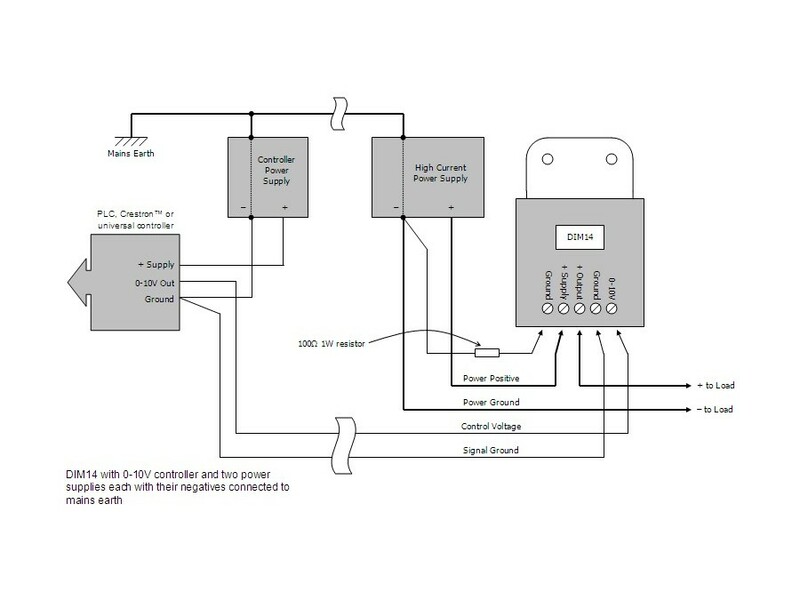 Controlled by a universal 0-10V analogue control voltage input - PLC and Crestron™ compatible. 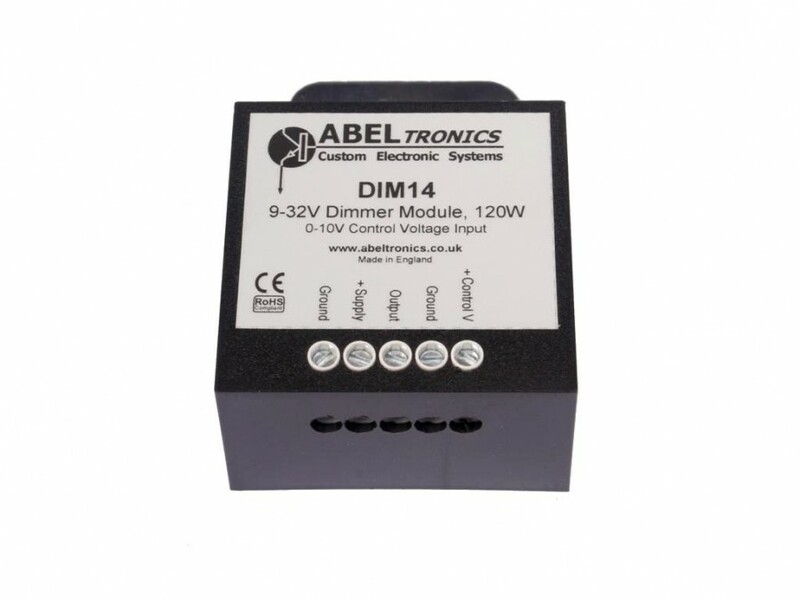 The DIM14 is a low voltage 12V or 24V PWM lamp and LED dimmer module controlled by a universal 0-10 volt control signal. 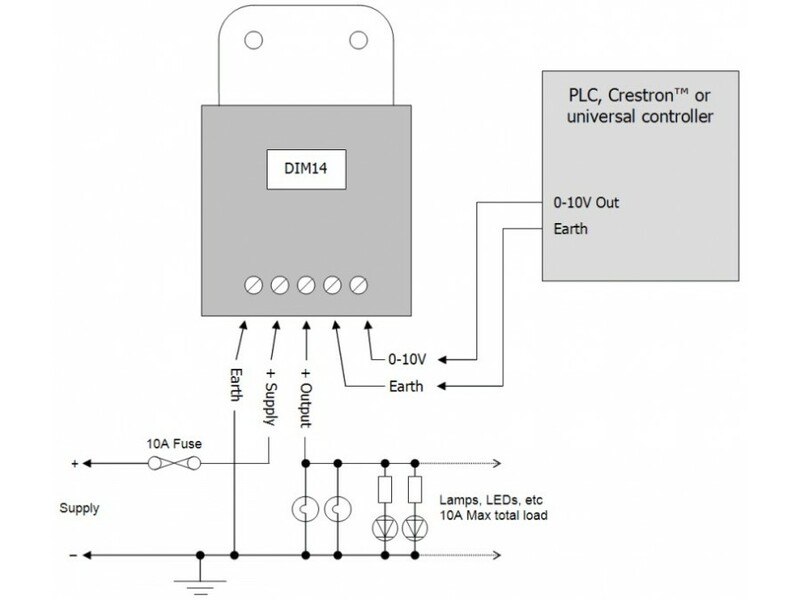 0V on the input means the lamp/LED is fully off, 10V is fully on, and everywhere in between. 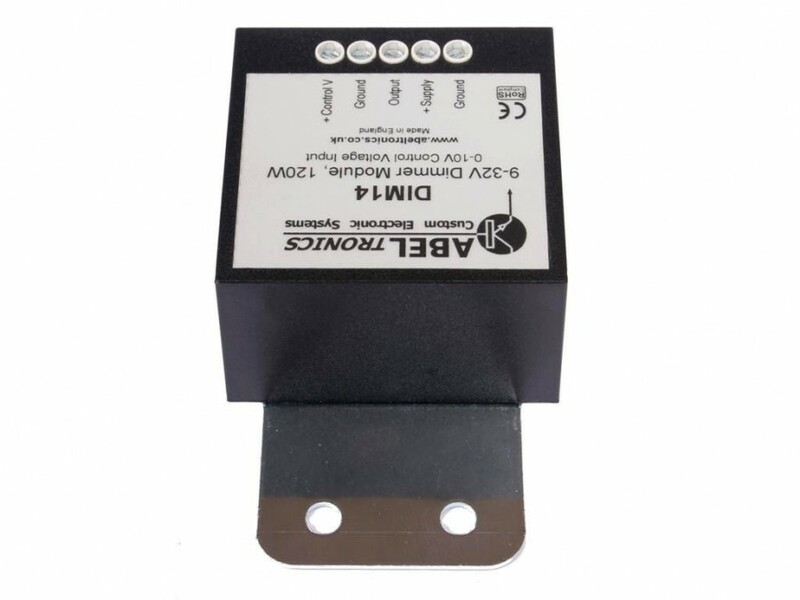 The module is suitable for interfacing to any device that outputs a 0-10V or 1-10V control signal including most PLCs, lighting controllers, Crestron™ or Lutron™ devices, and many others. Connections to the DIM14 are shown in the Connection Diagram section. 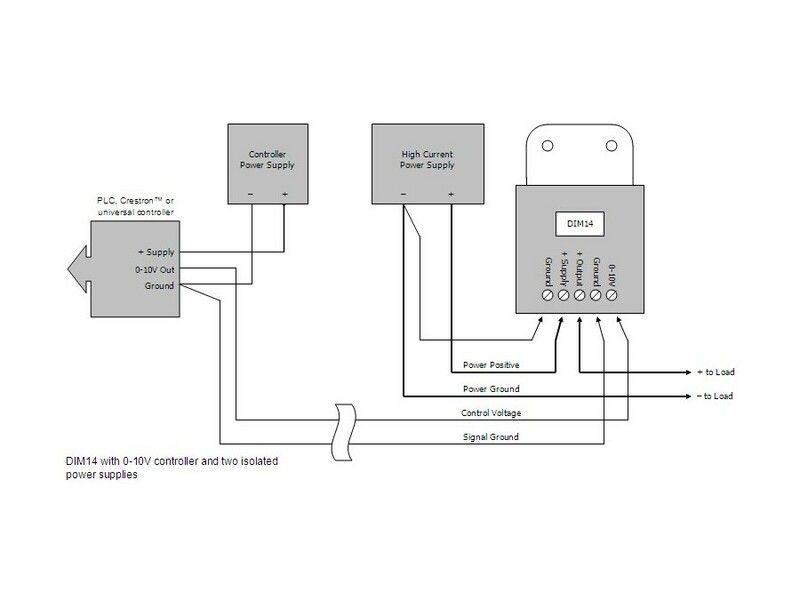 The control input is designed to accept an analogue 0-10V control signal from a PLC, lighting controller, Crestron™ controller, or similar. 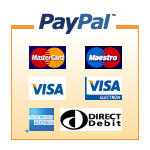 As the input signal is varied between 0 and 10V the connected lamp changes in brightness synchronously. 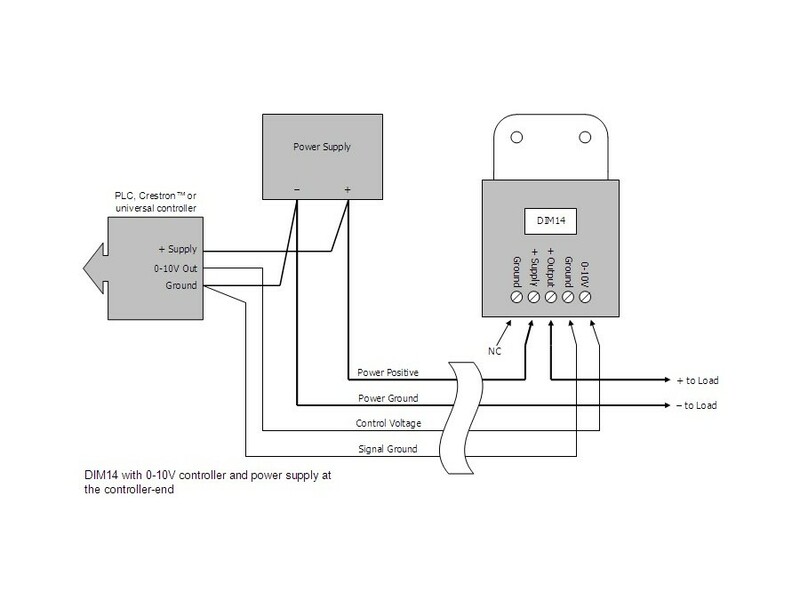 An input of less than 0.2V turns the lamp fully off, and more than 9.8V turns the lamp fully on. 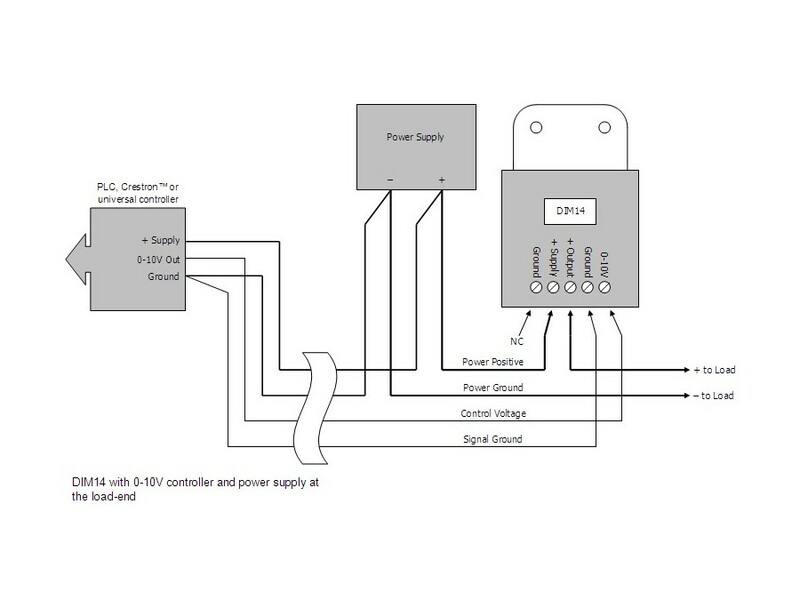 The control input is a current sinking type, it does not provide any power back down the control voltage line. The two earth connections shown on the module are internally tied together, and only one of them can be connected if desired. 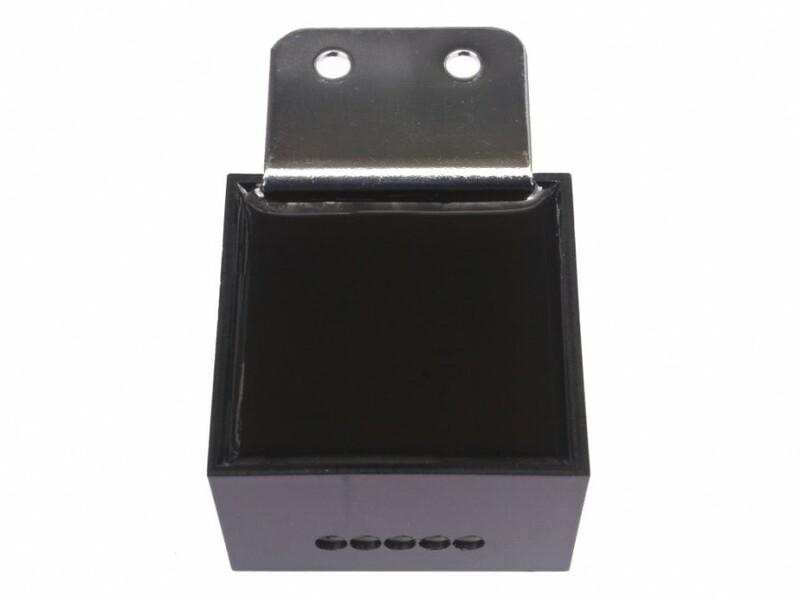 The control input is protected against over-voltage, although it should never exceed the module's supply voltage. 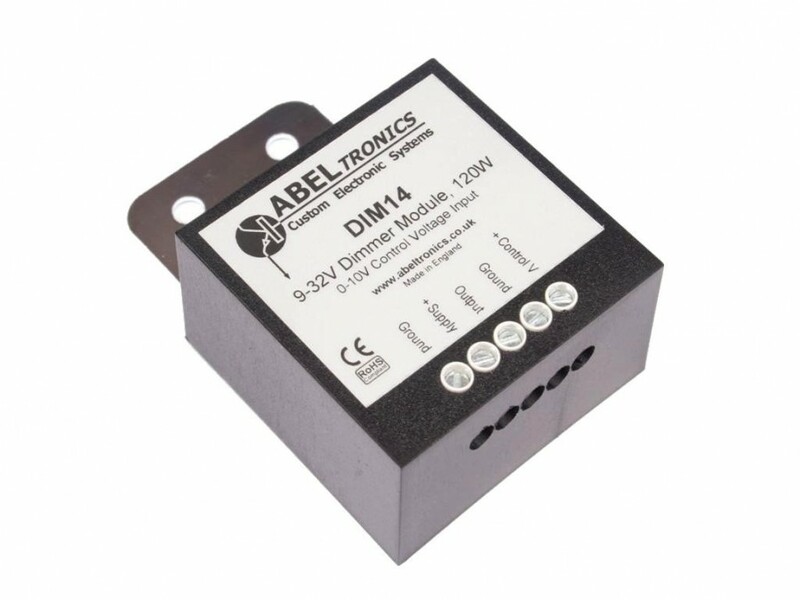 The control voltage input and the DIM14 supply voltage are not electrically isolated from each other and share a common earth. 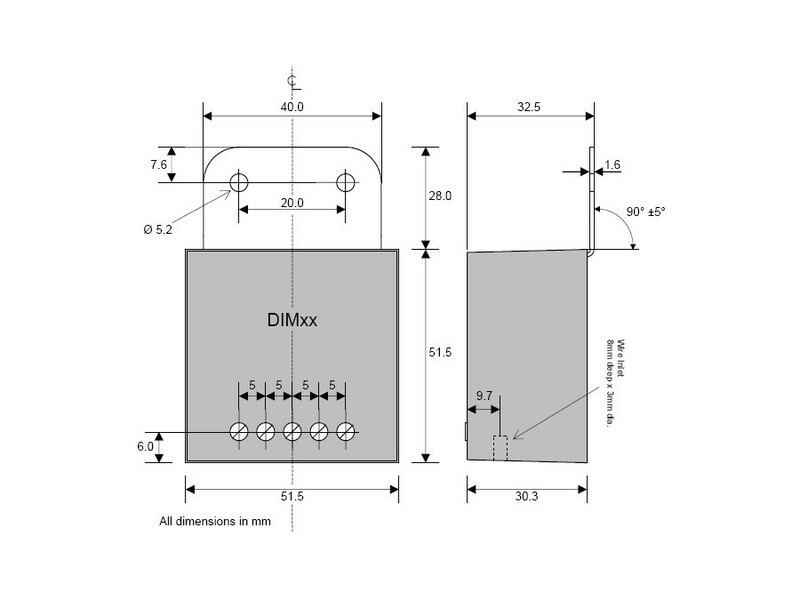 Please see the DIM14 application note AN_DIM14.pdf for more information.